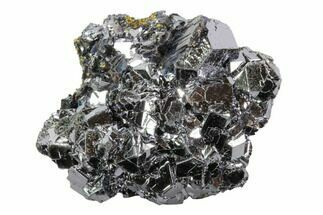 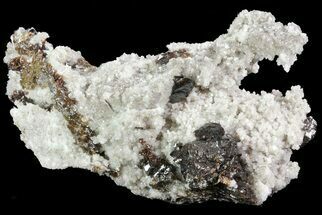 This is a spectacular, lustrous cluster of radiating silver Pyrolusite from Morocco. 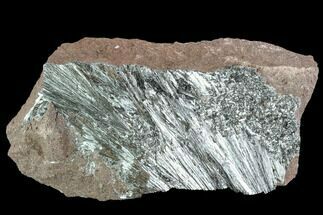 The specimen features several radiating sprays of these shiny, metallic crystals. 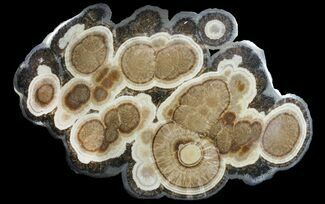 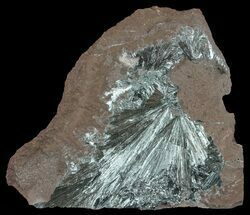 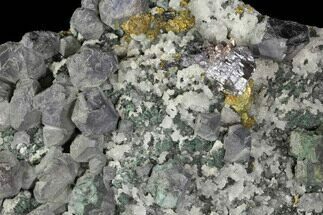 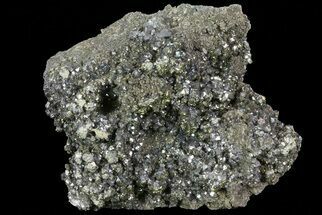 Pyrolusite is a mineral consisting of manganese dioxide (MnO2) and is important as an ore of manganese. 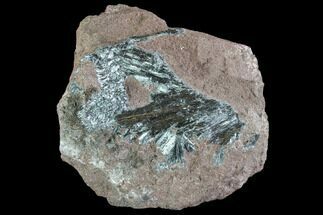 It has a silver, metallic luster, a black or bluish-black streak, and readily soils the fingers. 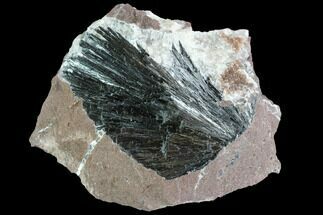 It commonly is found in finely packed fibrous, acicular and radial forms composed of very fine needles or fibers. 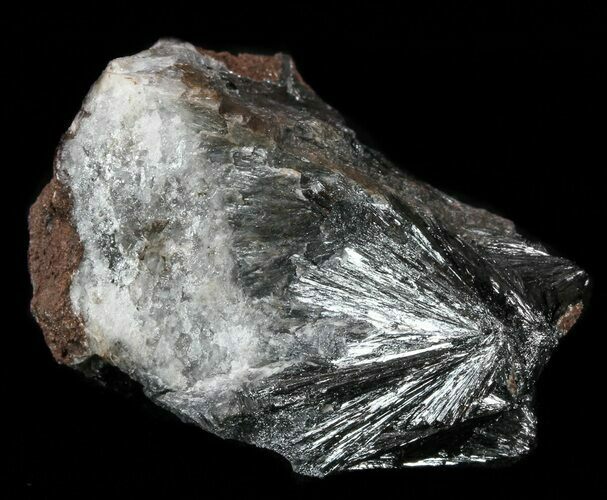 1.5 x 1.1 x 1"